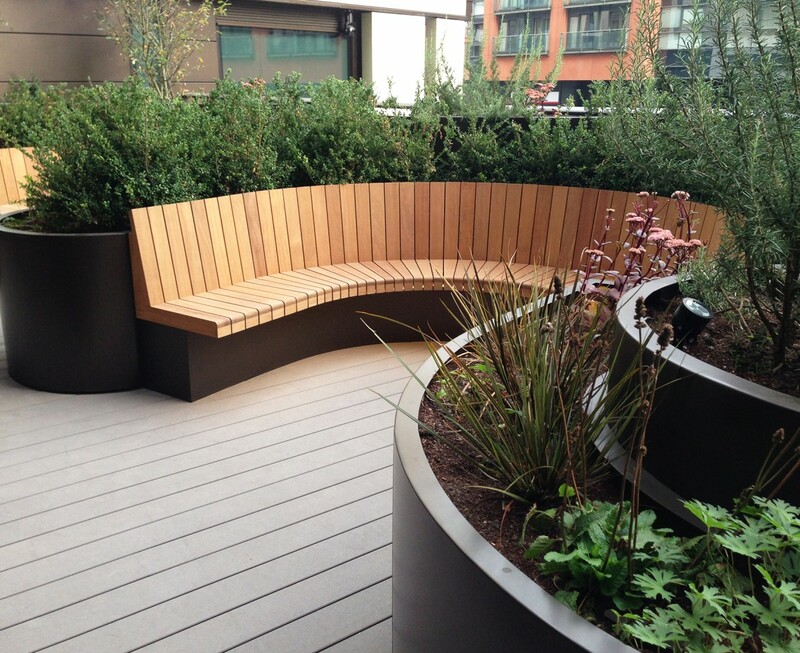 With the roof gardens at Merchant Square we wanted to create variety and adventure in a style to compliment the architecture all in a very limited space. 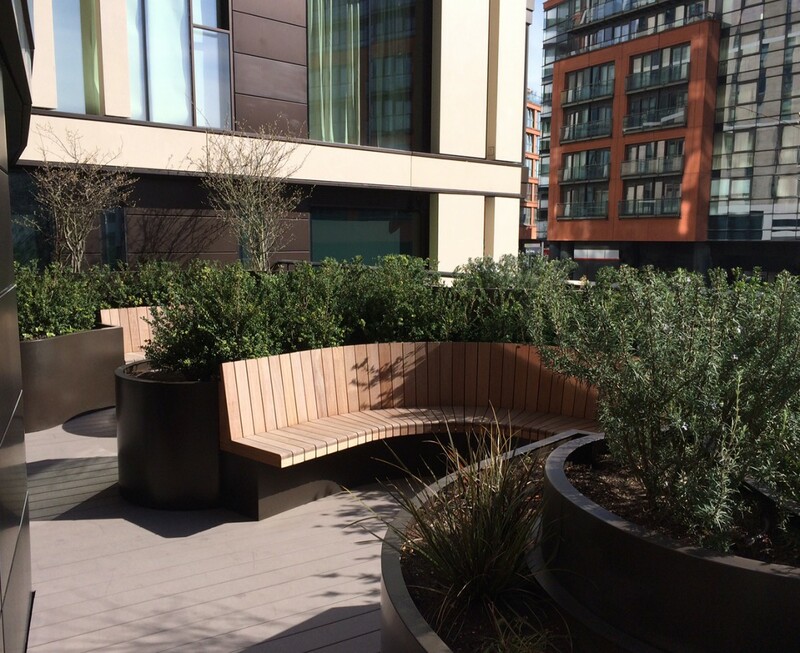 The terrace has the advantage of looking out over the hustle and bustle of people wandering through Paddington basin below as well as the reflective calm and stillness of the water, which so defines the space. 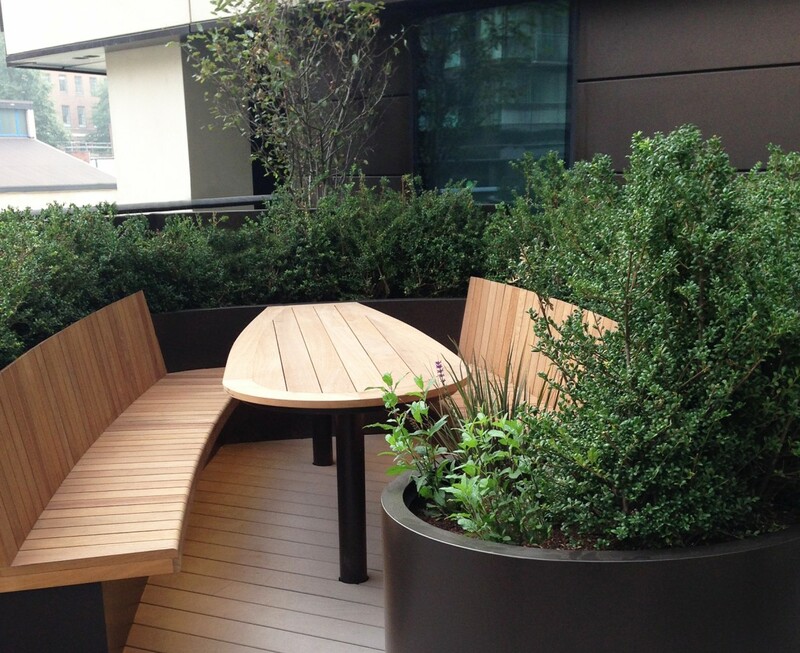 Our approach was to create a beautiful organic sculptural space, which we could then embellish with planting. The form we eventually decided on allowed for a variety of pods, in both size and use. 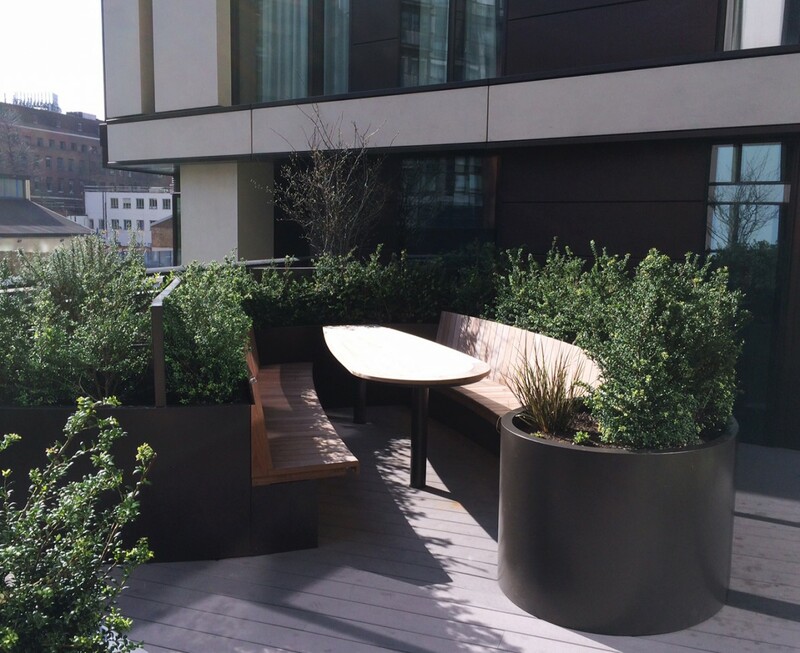 We developed metal planters and had these bespoke fabricated and finished in bronze to evoke the strong organic forms of past sculptors. The planting was simple and structural evergreen hedges accompanied with sedum and grasses to evoke water and animation. 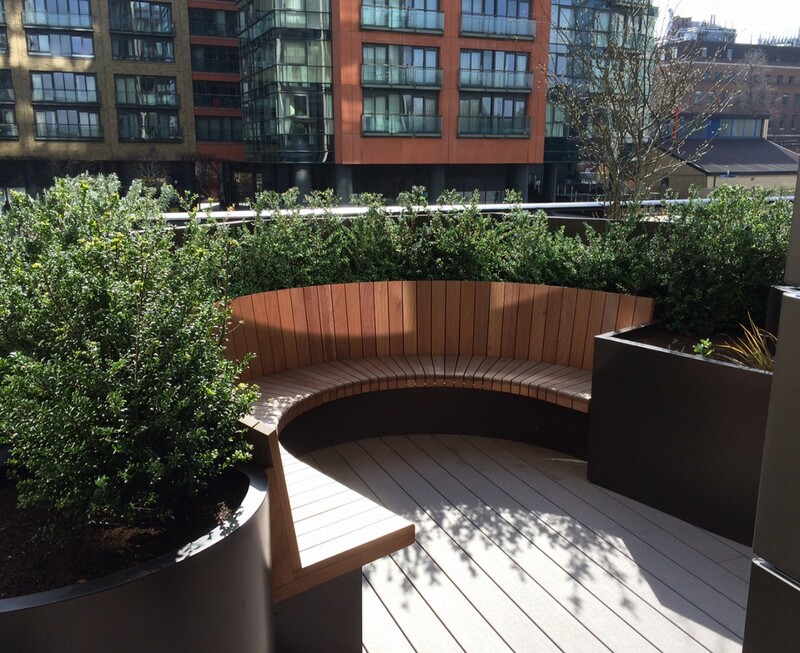 On the roof behind the terrace we created an interwoven design of miscanthus hedges creating cells to be planted with a variety of herbaceous perennials for seasonal interest.